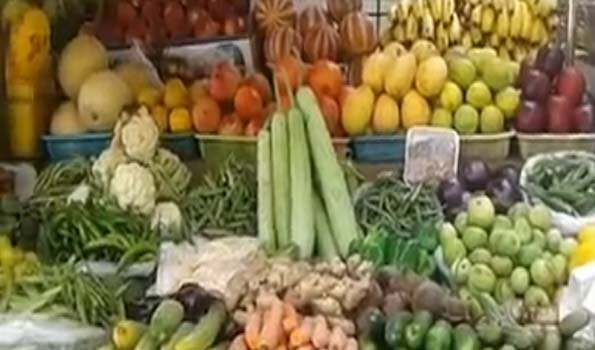 Kolkata: Fruit and vegetables are important components of a healthy diet, and their sufficient daily consumption could help prevent major diseases, such as cardiovascular diseases and certain cancers. Approximately 16.0 million (1.0 per cent) disability adjusted life years (DALYs, a measure of the potential life lost due to premature mortality and the years of productive life lost due to disability) and 1.7 million (2.8 per cent) of deaths worldwide are attributable to low fruit and vegetable consumption. Moreover, insufficient intake of fruit and vegetables is estimated to cause around 14 per cent of gastrointestinal cancer deaths, about 11 per cent of ischaemic heart disease deaths and about 9 per cent of stroke deaths globally. There is convincing evidence that the consumption of high levels of high-energy foods, such as processed foods that are high in fats and sugars, promotes obesity compared to low-energy foods such as fruits and vegetables. Low fruit and vegetable intake is among the top 10 risk factors contributing to attributable mortality, according to evidence presented in World Health Report. Fruits and vegetables as part of the daily diet could help prevent major noncommunicable diseases (NCD). Moreover, eating a variety of vegetables and fruits clearly ensures an adequate intake of most micronutrients, dietary fibres and a host of essential non-nutrient substances. A recent WHO/FAO expert consultation report on diet, nutrition and prevention of chronic diseases, sets population nutrient goals and recommends intake of a minimum of 400 g of fruits and vegetables per day for the prevention of chronic diseases such as heart diseases, cancer, diabetes and obesity.